Lian Duan, born in Chengdu, Sichuan, received classical training in drawing and painting in China, earned MA and PhD in comparative literature in China, and MA and PhD in art education in Canada. He taught Chinese literature and art at SUNNY-Albany, Williams College, and other colleges in the United States from 1998 to 2004. 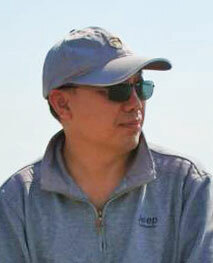 In the recent 10 years, he is a senior lecturer and coordinator in Chinese at Concordia University in Montreal, Canada. Since mid-1980s he has published extensively on art and literature. In the last 5 years he wrote a column on cross-cultural issues for the New York-based Chinese newspaper “World Journal” and a column of art criticism for the magazine “Contemporary Artists” (Sichuan Academy of Fine Arts). So far he has published 12 books on art and literature, he is currently writing two books in English, Semiotics for Art History and History of Contemporary Chinese Art. In the recent years he has served as proof-reading editor of the Chinese translations of “Museum Guide” for The Metropolitan Museum of Art in New York, Lincoln Center for the Performing Arts in New York, and the Smithsonian Institution in Washington DC. Copyright © 2019 Chinese-American Art Faculty Association All Rights Reserved.